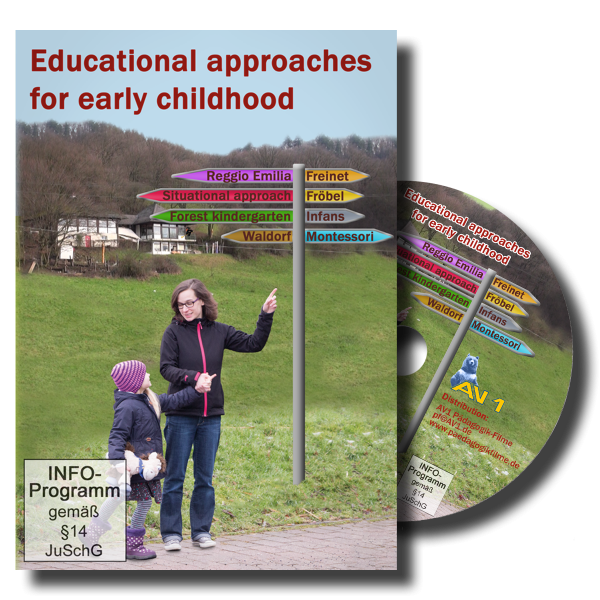 Produktinformationen "Educational approaches for early childhood"
With this DVD we offer you an opportunity, to inform yourself in short form about the most important approaches of the kindergarten pedagogy. The movie is for parents, teachers or professionals, schools and consultants. Parents, whose children are coming to kindergarten, get briefed about the approaches. Professionals and teacher get an overview about other approaches. Schools and Consultants can work with the pedagogical approaches during classes and lessons. These eight pedagogical approaches are the most famous in Germany and beyond, so it is important to understand the main ideas behind it. Kundenbewertungen für "Educational approaches for early childhood"